Golden Dawn's percentages are also high between the farming population, where she receives 13.1% of the vote. Unfortunately, the research doesn't include the Party's percentages among the Youth. If it did, we would witness even higher percentages, given the fact that we are quite popular with the Greek Youth, the Future of Hellas. 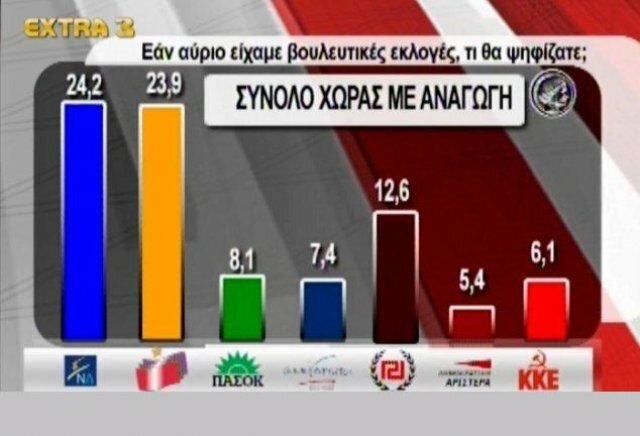 No matter the fact that the social influence of the Golden Dawn is much higher than her percentages, the publication of this poll is indicative of the unstoppable rise of the Greek Social Nationalists. 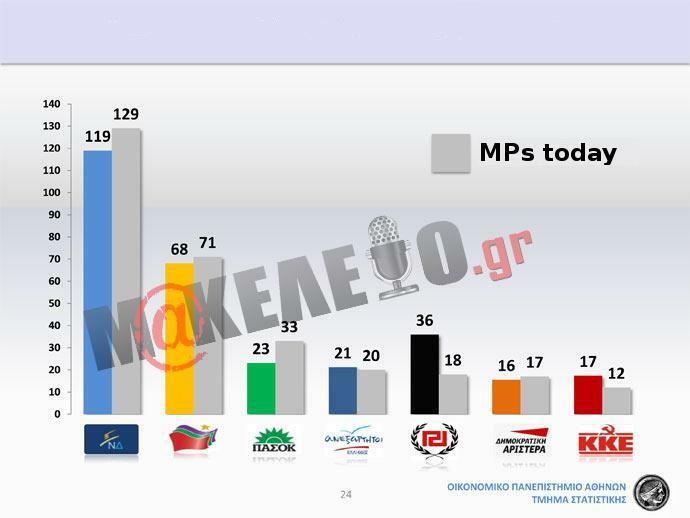 Probably means Golden dawn would get around 15-18% of the votes if an election was held right now. Making it one of the most powerful nationalist parties in Europe, perhaps the most powerful. When Golden dawn takes control of the goverment, I hope they will nationalize the banks and send tones of money to other nationalist parties in Europe.. 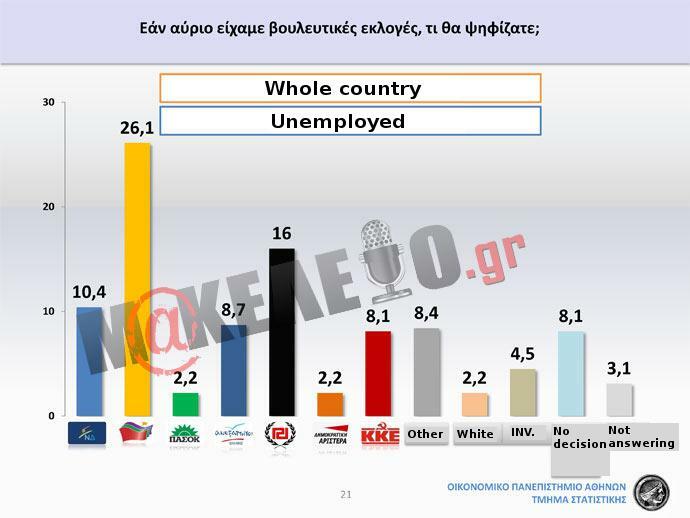 If Golden dawn has access to the income of an entire state, they could fund all nationalist parties in Europe and still not spent a fragment of their national budget.. 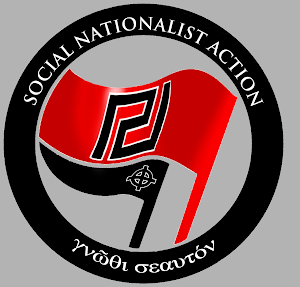 Imagine if instead of sending tones of money to africa, Golden dawn send those money to support their nationalists brothers and sisters instead. That is what Nationalist have been lacking so badly these years, financiers.. We have had the truth on our side, we have had the competence, the dedication, but the leftists have had all the money. Good idea! I hope this their plan as well! 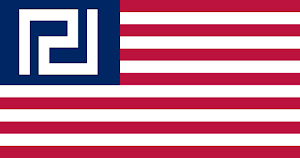 Golden dawn cannot survive alone if they take over Greece with all the international forces against them. They need to make sure more European countries get nationalist parties in power. Congratulations on your continued rise in standing with the Greek people. This gives us hope that one day all the people of the European nations will wake up to reality and one day all our nations can stand as partner sovereign states. We don't need a soviet style EU Politburo to dictate we just need patriots doing what is right for people and nation. I totally agree. Shall Europe ever get close to a genuine 'united' mentality, it would be the work of patriots, not universalists. I have commented many times Great Britains salvation will only come from Europe, the once brave Britons have now been frightened to death by the Political Police Force. I think the real life statistics might be alot higher then what the opinion polls would say. I hope it will be the same for the rest of the European countries with their White Nationalist parties. http://youtu.be/J2EXoKuznDY < Good video from Jared Taylor of American Renaissance. Last elections took place June 2012 and every government gets a 4-year office. But, depending on the economical conditions, elections may be declared anytime. Greece is currently supported by IMF funds, the government has pledged to make some (necessary but unprecedented in greek reality) cuts, the leftists (neomarxists plus socialists) of SYRIZA (currently 2nd power) are playing the strike-and-unrest card as always. If IMF closes the tap now, we will suffer uncontroled bankruptcy and exit the euro. If they continue to fund until we build a steady primary surplus and begin to pay our debts back, a neoliberal status will most likely follow. Either case, GD has a central part to play. 10-12% is a very good percentage. In absolute numbers makes around 6-8 hundred thousand voters. So it's a good pool of supporters to draw upon. GD should currently pause all the expectations for higher percentages. They should place all their efforts into thoroughly organizing the 10-12% instead. Most of this percentage represents people who have no serious connection with the ideals of nationalism, who were unaware of the perils of multiculturalism just a while ago. Let us not forget that merely 3 years before, GD's national elections percentages were negligible. So, there's a lot of people to work with and build more durable and organized political and social structures and relations. The luck is, large part of that 10-12% is youth, people under 30ys old. GD should spent much of their resources into, not only giving that youth a proper vision for their future, but also building the material structures to support such a vision. GD must, at all costs, take that youth out of the cities and into the countryside, making them as economicaly independent as possible, producers of their own wealth, who will trade not necessarily inside the Greek market. Greece is a nutritional GOLDMINE and a green-energy POWERHOUSE, these industries stand much closer to nationalist ideals than fossil fuels. I'm talking about a new class of farmers who will take-over and replace the old one (those who use illegal immigrants to do their field-work), restoring the essential 'bond to the land' in it's real, material form. I'm talking about a new class of independent producers of electrical power, possessing the free-time to get more involved into the struggle, instead of making themselves servants of tourists. New classes like these, will not only serve as a bright example of successful living among a crisis-striken social reality, but could also absorb the shock of a potential bankruptcy. Then, in both cases we should expect not only the rise of GD's percentanges, but a dominance of nationalism on Greek politics for many years to come. Yeah more young men and women across Europe are joining in, this is a very good turn out. Shame on the Eu pigs and shame on the puppet Greek government. Greeks forced to fight for food, The Hunger Games!! Whilst the EU pigs give millions to somalia the Greeks go hungry, what did somalia ever contribute to the world apart from terrorism and pirates. 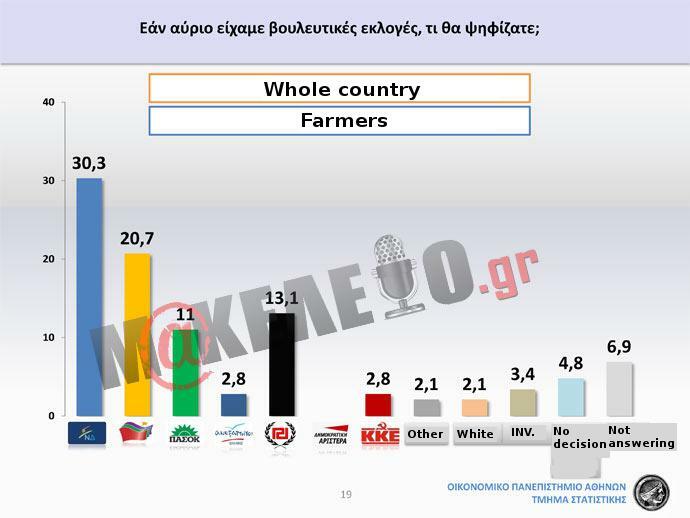 The Farmers should have contacted Golden Dawn. But as I have seen on the images the majority of the people are non whites stealing the food. Well the EU and the ZOG are anti white and always are against white people. How long till the email works again? Excellent news. Keep this up no matter what they throw at you. Hail the true Europe. 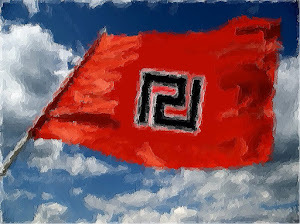 Great news may the Golden Dawn rise to the top and secure a better future for the greek people than the criminals in power at the moment.